Now the highly anticipated Oculus Touch virtual reality controllers are finally available to purchase from the likes of Amazon and directly from the Oculus online store. iFixit has wasted no time taking their tools to the new virtual reality controllers to reveal their inner workings and hardware. 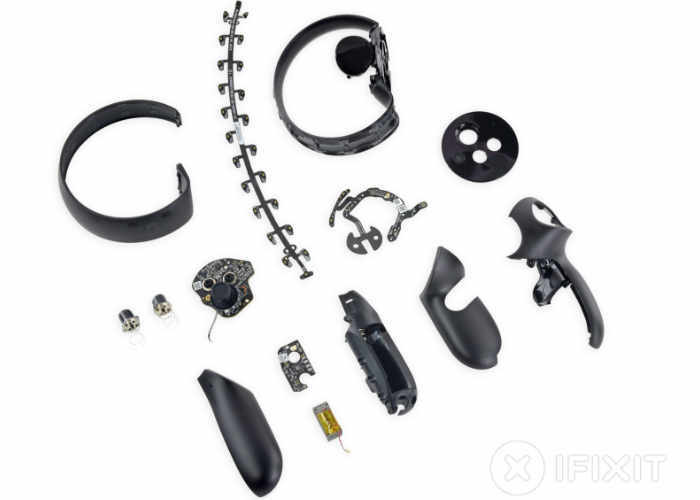 iFixit have awarded the Oculus Touch controllers a repair ability score of 5 out of 10, with 10 being the easiest to repair. And noted a few features during the teardown including the battery replacement was quick and easy thanks to the magnetic cover which has been used. – The joystick, button bases, and battery connections are soldered directly to a board and require soldering knowledge to repair. – Navigating through the tabs, adhesive, and hidden screws is not intuitive and could result in damage during disassembly. 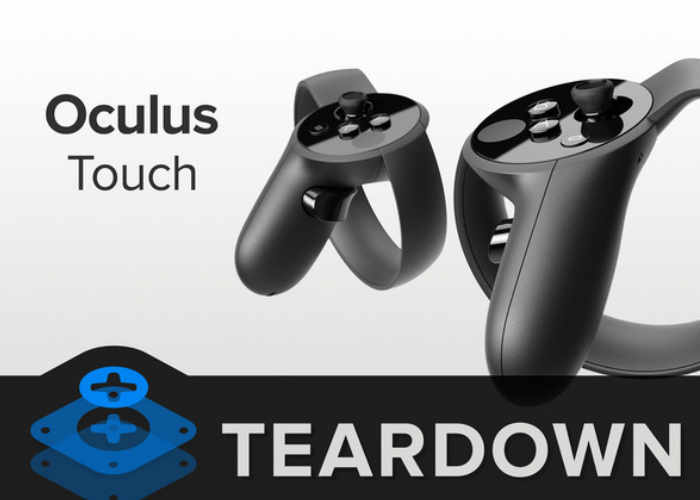 Oculus finally catches up with the big boys with the release of their ultra-responsive Oculus Touch controllers. Requiring a second IR camera and featuring a whole mess of tactile and capacitive input options, these controllers are bound to be chock full of IR LEDs and tons of exciting tech—but we’ll only know for sure if we tear them down!